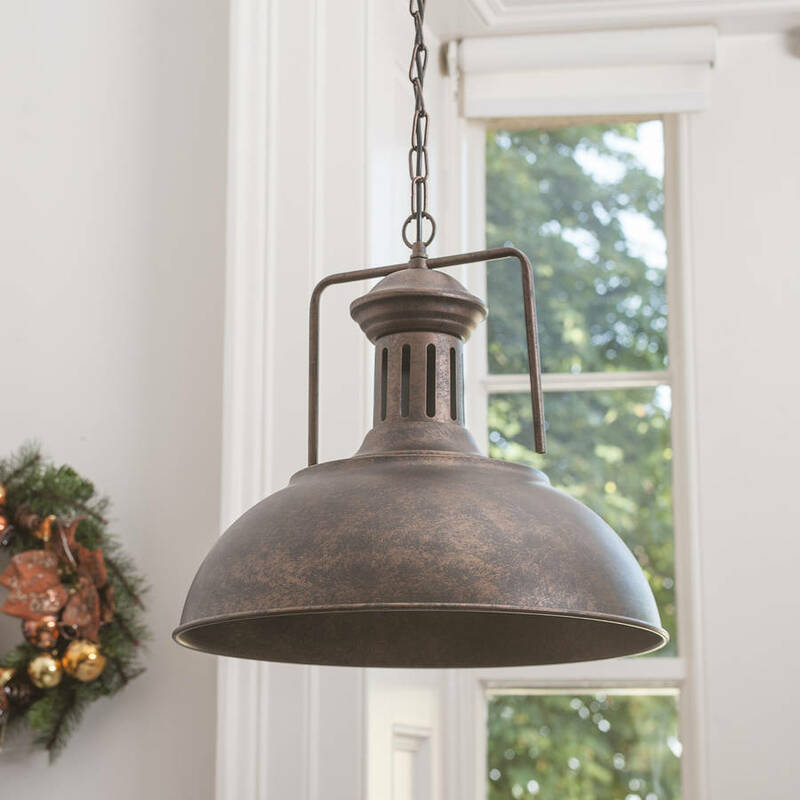 Light up your home with distressed pendant light, a standout feature that would compliment an array of colours and textures. 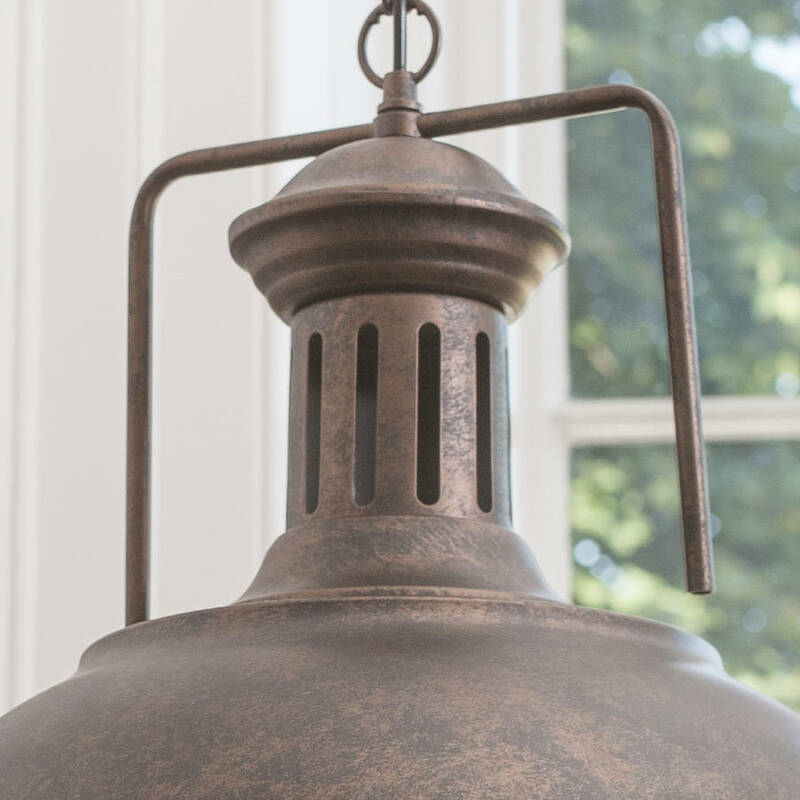 Complete with a clear glass light shade which houses the bulb once fitted, the pendant light is a great way to add an instant style update to any room in the home. 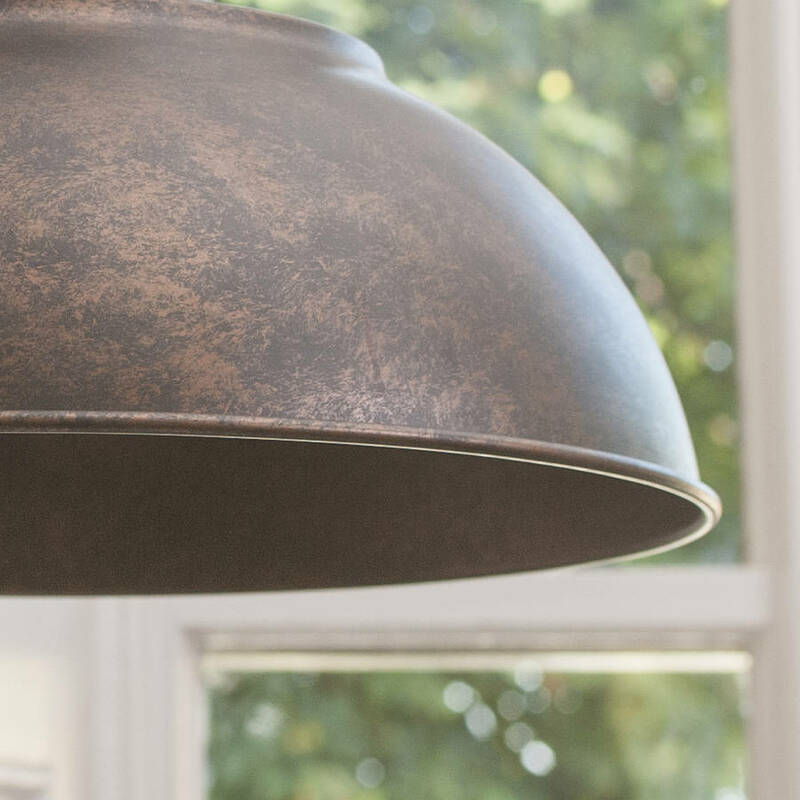 Made from iron with a beautiful powder coated distressed finish evoking a lovely industrial style feel to a room. this ceiling light is suitable for high ceiling kitchen, barn conversions and traditional style hallways.